Not to toot my own horn, but I think I do a pretty good job of taking advantage of the offerings that are found in my Montana backyard. Except, I don’t always try everything that I wish I would. 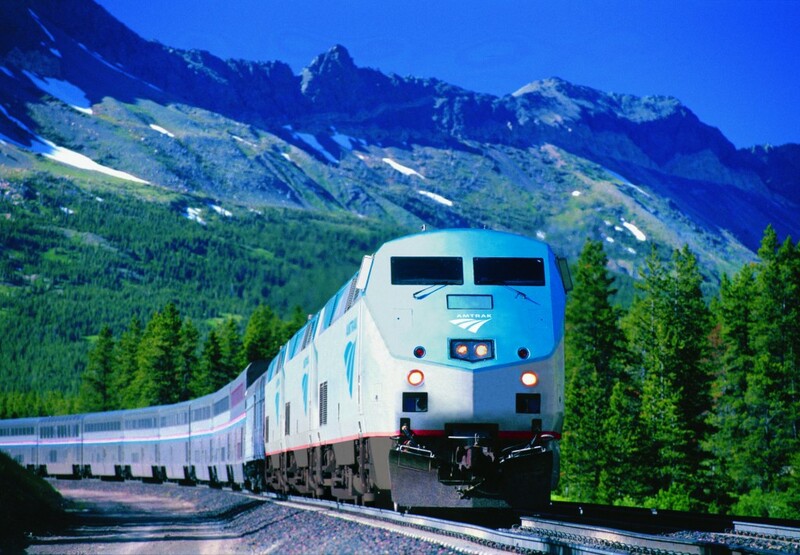 Take for example Amtrak’s Empire Builder line. 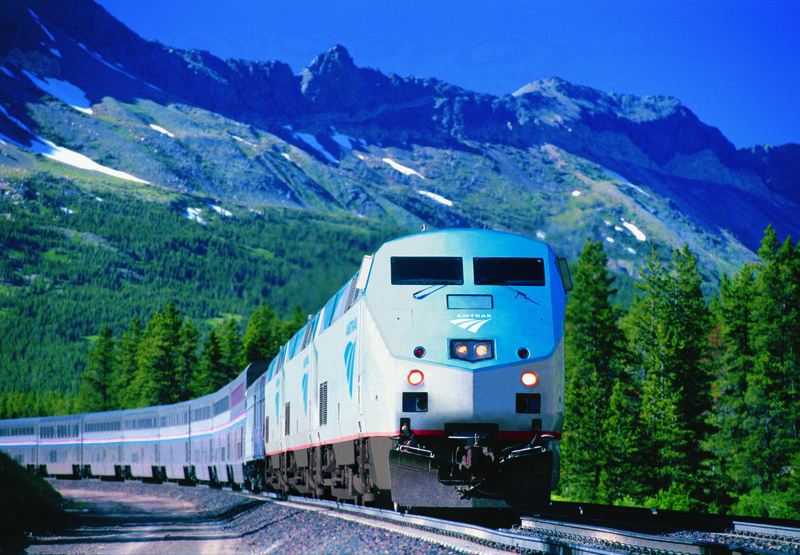 It runs between Chicago and Seattle and passes through Montana’s northern tier two times per day, making stops in Libby, Whitefish, West Glacier, Essex, East Glacier Park, Browning, Cut Bank, Shelby and Havre. 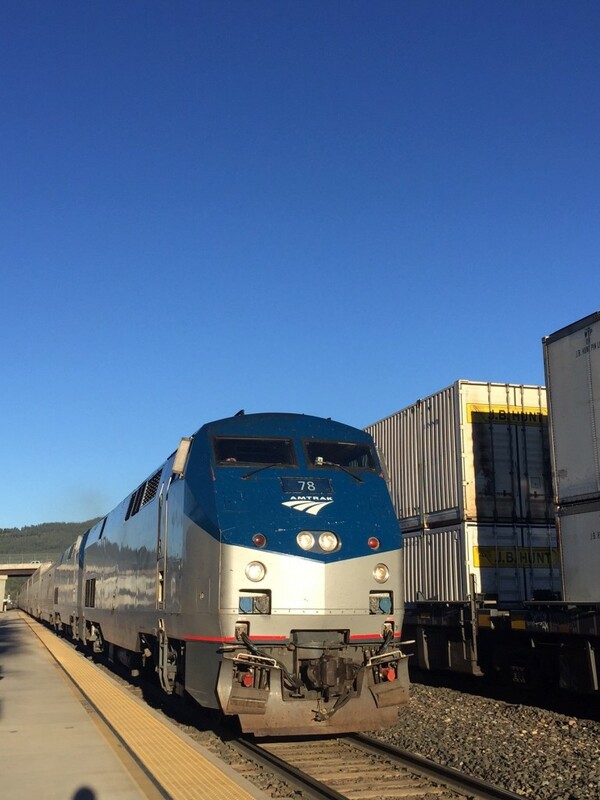 Here it comes: the last time I rode Amtrak’s Empire Builder I was six years old and on a first grade field trip when we rode the train from Shelby, Montana to East Glacier Park, Montana which—by the way—I thought was so awesome. And since I haven’t been six years old for a few years, it seemed like it was time that I got back in the train-lovin’ saddle and took a ride through my own backyard. 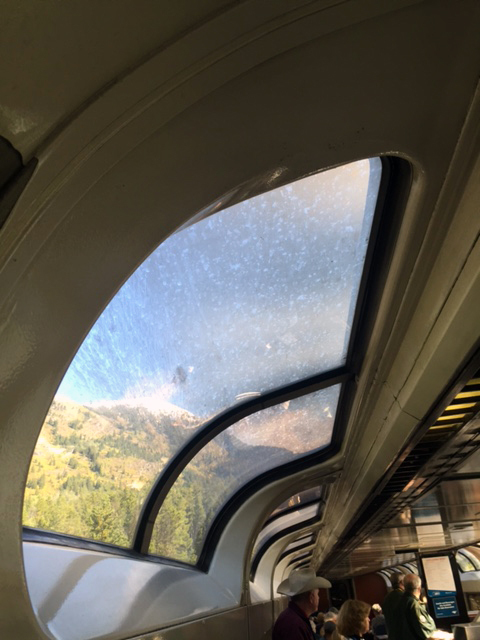 So I grabbed one of my favorite traveling companions and we climbed aboard the Empire Builder. And you guys, it was pretty fun. 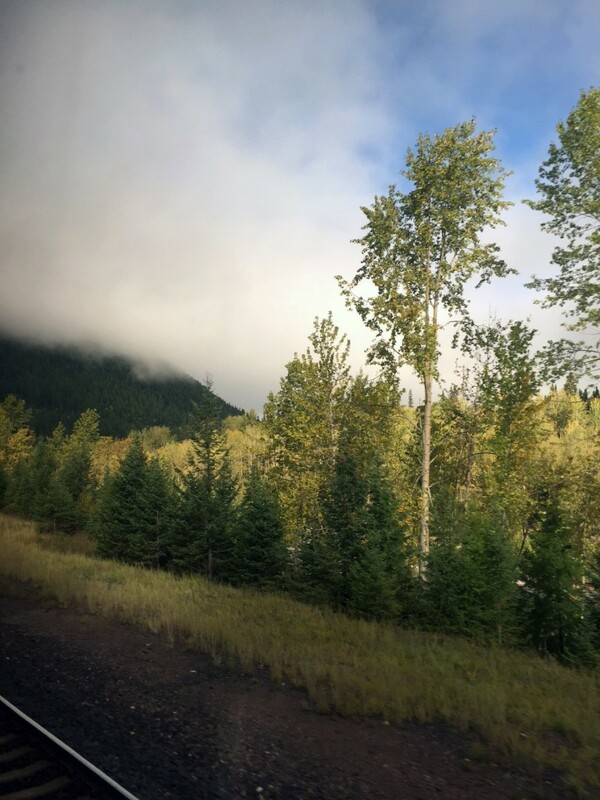 Our starting point: Whitefish, Montana. Fall colors were starting to arrive along the river. Loved this view looking back west out of the train. 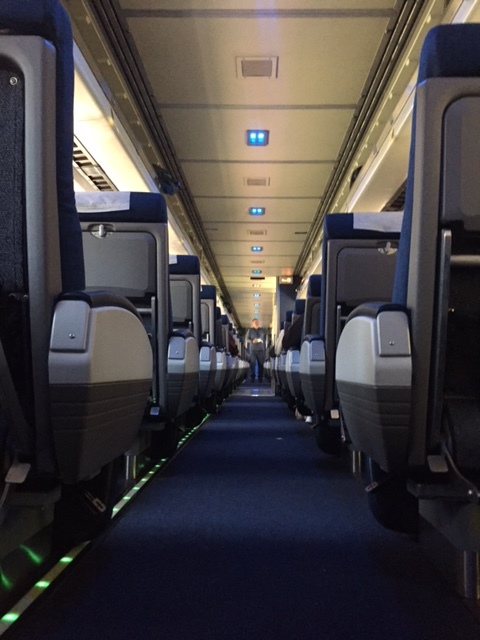 My favorite spot on the train: the observation car. 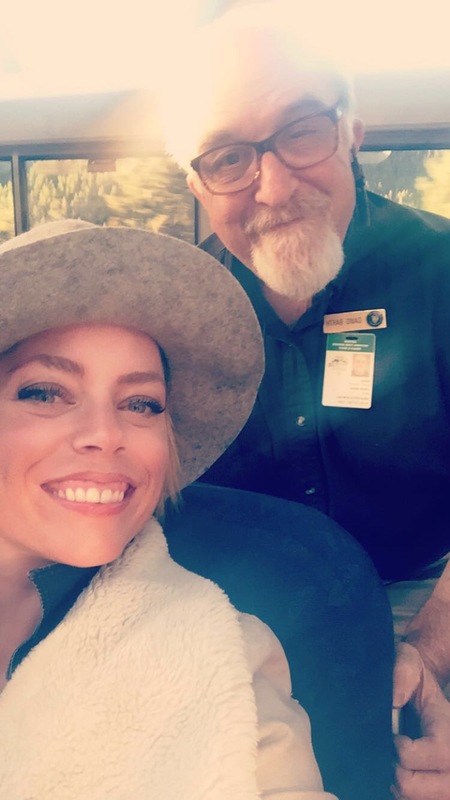 Making friends with a National Park volunteer in the observation car. Coming down off Marias Pass, we were rewarded with this view. Entering the Blackfeet Nation. Traveling from west to east, you abruptly notice the change in Montana’s topography as you hit the plains. Arriving at our destination: East Glacier Park, Montana. The train station at East Glacier Park. 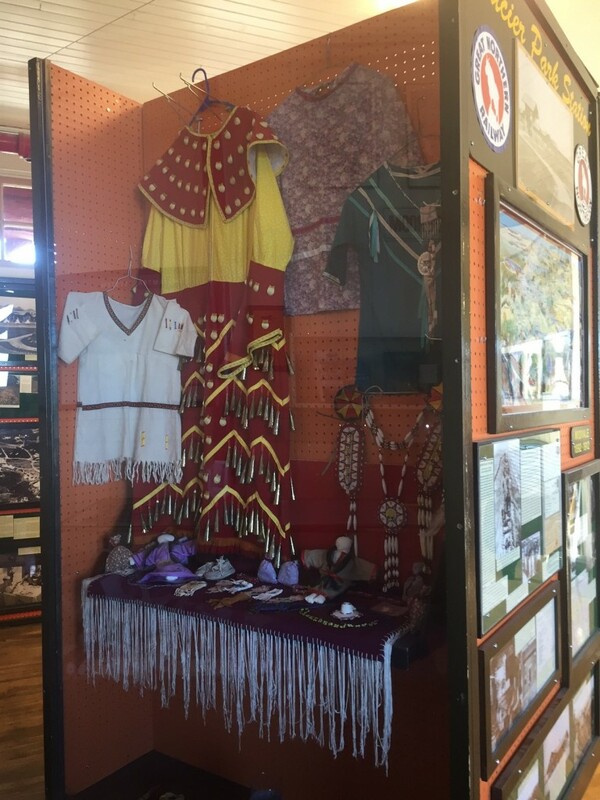 Displays from the Blackfeet Nation inside the train depot at East Glacier Park. 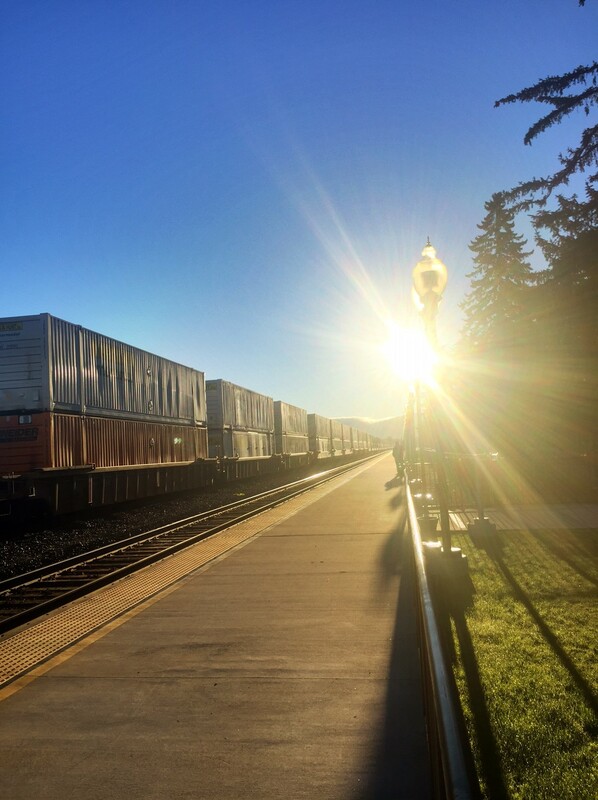 It’s official: we love train travel in Montana. -Go with the flow. 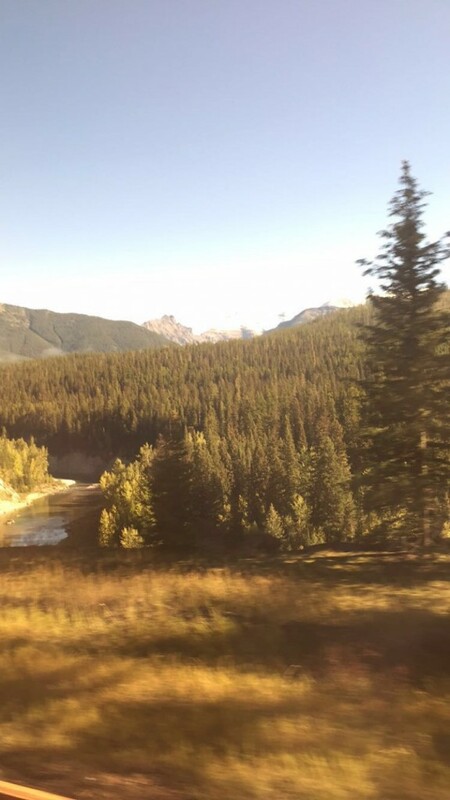 Trains aren’t known for always operating on time; our eastbound train was 90 minutes late, but I’ve found that when doing a trip like this where things can tend to run behind, it’s easier to just roll with it. You’ll be happier and pleasantly surprised when it’s on time. -If you can, snag a seat in the observation car. During the late spring, summer and fall, Amtrak’s Trails & Rails program has volunteers from the National Park Service on the train who offer interpretive commentary from Seattle, Washington to Shelby, Montana. -You can get the best pictures by placing your camera as close to the window as possible (thanks to NPS guides who shared that insider tip!). 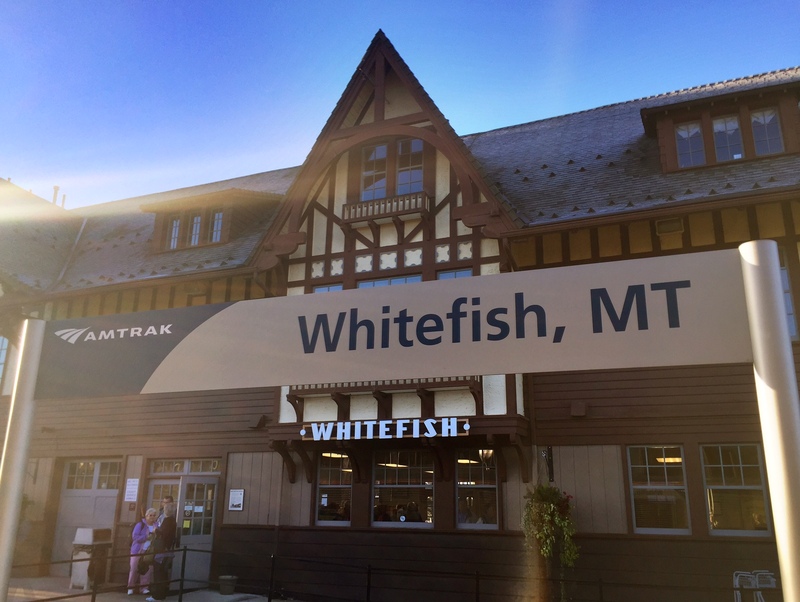 -If you’re getting on or off in Whitefish, West Glacier or East Glacier Park, plan to arrive early so you can check out the train stations. 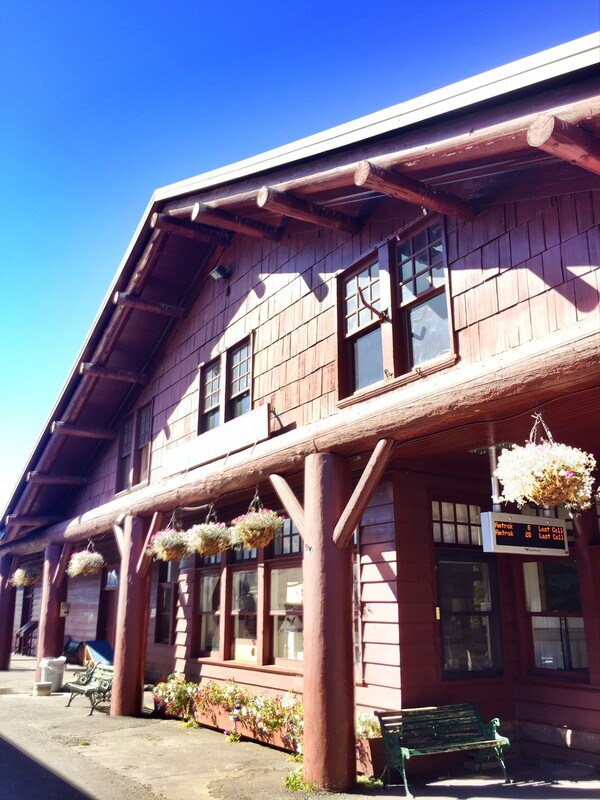 The Whitefish station has an on-site museum, while East Glacier Park has interesting and historic photos from the early time of train travel to the area. -Don’t be afraid to ask the conductors questions about the train, best views, etc. They literally know everything there is to know and are incredibly nice. This entry was posted in Montana Fun and tagged Autumn, east glacier park, Fall, Glacier National Park, train travel, Whitefish on September 15, 2016 by tiatroy. Over 50 years ago, my daughter was a Brownie Girl Scout, we took the troop from West Glacier to Whitefish on the train. It was an exciting and memorable trip for little girls who had not ridden the train before. How did you get back to Whitefish? Is there a train going the other way at an opportune time? Sadly that second trans-continetal train along this route needed in 1971. 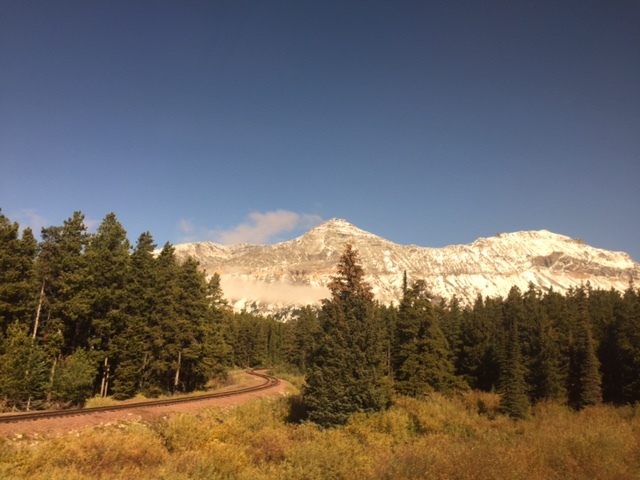 PS: Montana was beautiful and the train was full of boy scouts heading to Glacier. Great read & loved your pics. too. 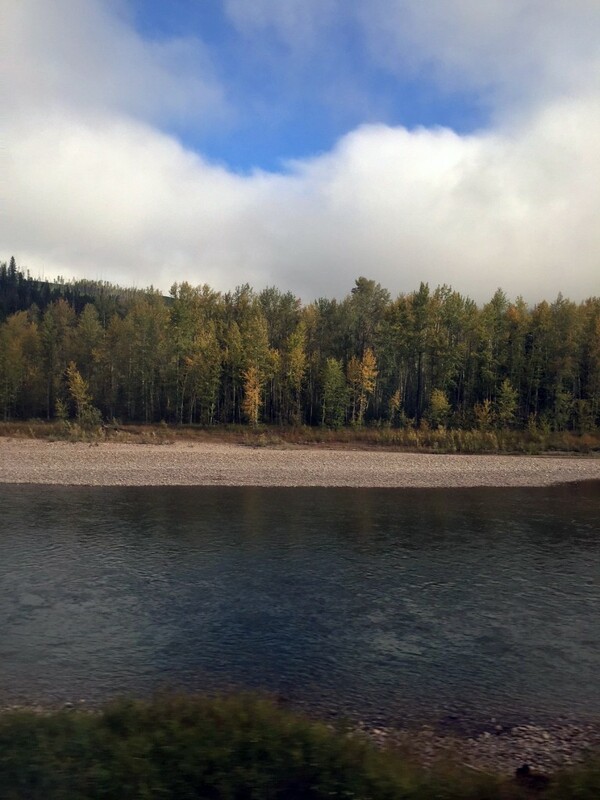 We travelled on the Westbound Empire Builder, breaking our trip in Whitefish, only a couple of weeks back. But it looked like you had the best of clear skies & weather though. Sadly we mostly encountered low cloud, rain & a little sleet when we passed through & stopped off in Glacier park. Did you hire a vehicle to travel around Glacier park? As I’m told that the park’s shuttle buses don’t run outside of the Summer season. Look forward to reading more of your adventures. Since 2004, my parents once a year take this train from Wisconsin to Malta, MT where I pick them up. 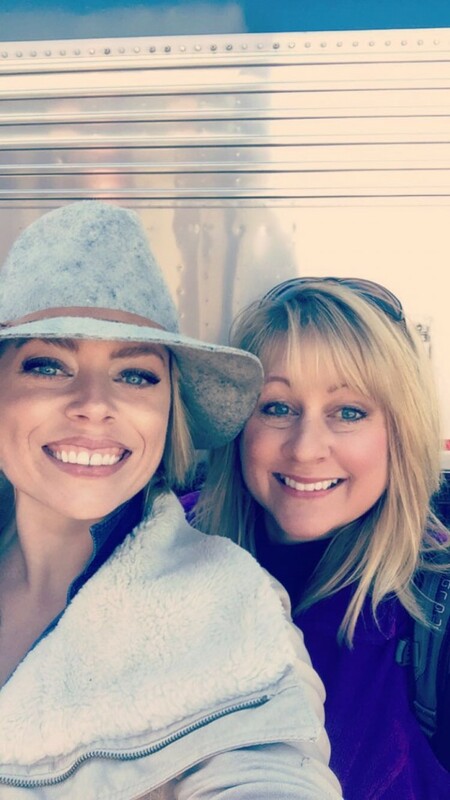 They have met many wonderful people including making friends with one conductor, love all the scenery going by whether it’s in a city or out in the country & have waited through situations like train tracks flooded, a car on the tracks, stops out in the middle of a field. They love the ease of the ride especially in winter & all that goes on in the train. 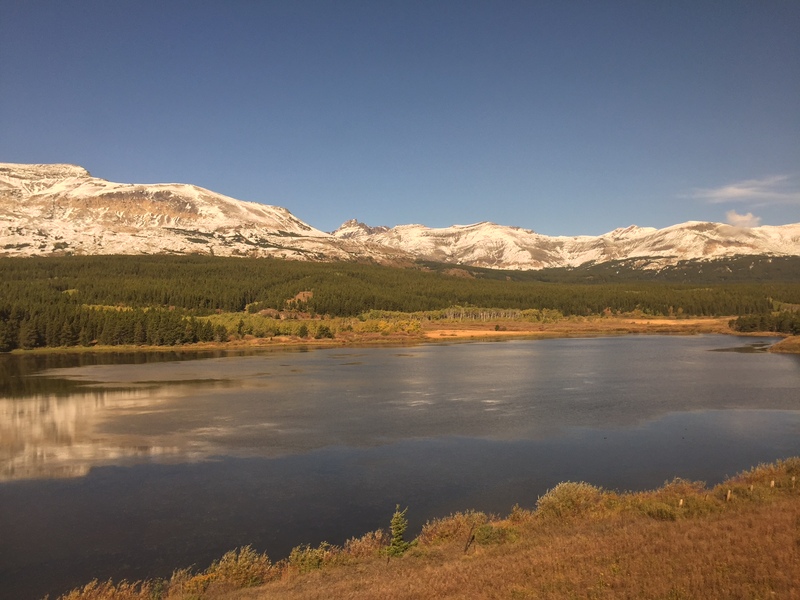 We’re travelling on Empire Builder Seattle to Chicago and wanted to spend a few days in Glacier NP. Which town would be the best for accommodation and tours etc in September? Was thinking West Glacier but now see there is whitefish, Essex etc. You have a lot of options when it comes to staying near Glacier National Park. 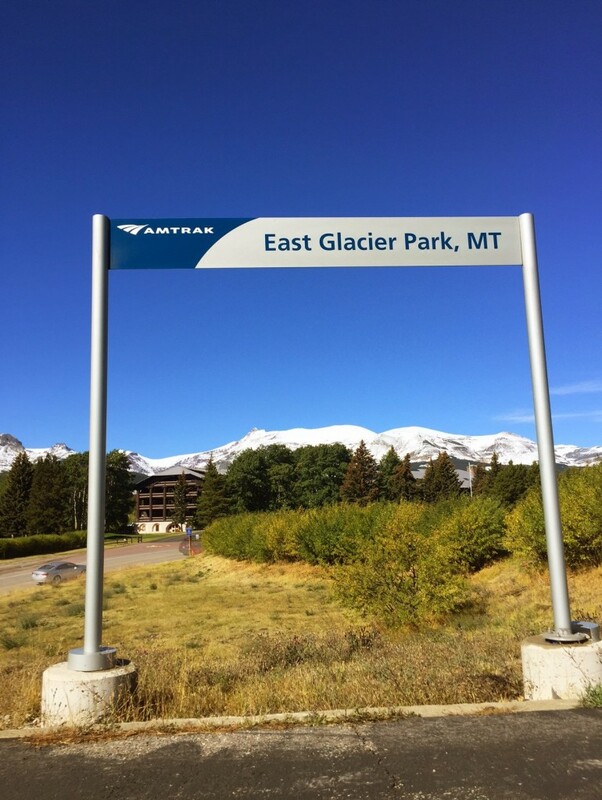 West Glacier is a great option for anyone visiting by train, because the West Glacier Station is a quick walk from lodging and tour companies. If you want to stay in a larger town and don’t mind a quick drive outside the park, Whitefish is another great option. There are shuttles from West Glacier to Whitefish and the drive is about 30 minutes (potentially longer on a shuttle). There you’ll find tons of lodging, dining, shopping and more to keep you entertained. 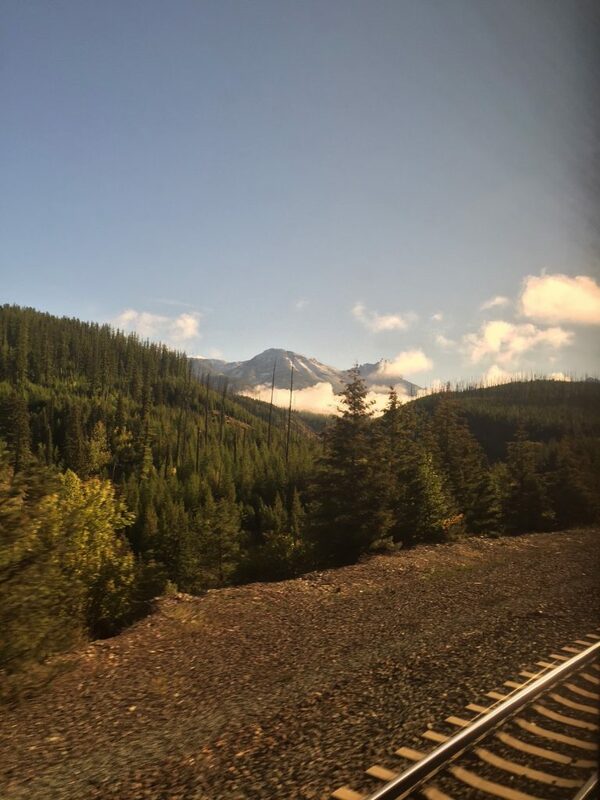 I took the Empire builder from Chicago to Seattle a few years ago. Had driven my daughters car to Michigan for her when she went to the University of Michigan. I took trains from Lansing to Detroit and then Detroit to Chicago and then to Seattle. What a beautiful and interesting trip. Met many nice people, saw scenery I never thought I would and really enjoyed it all. My goal was to never take a car during this trip. I fulfilled that goal. After getting off in Seattle I took a train to Tacoma, a bus from Tacoma to Puyallup and had about a mile walk home.